SMA hosted a speaker session presented by Dr. Sean McFate (National Defense University) as a part of its SMA General Speaker Series. 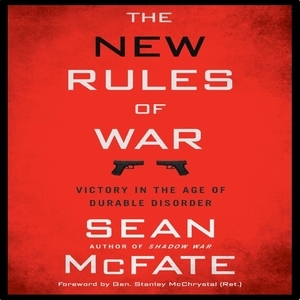 Dr. McFate first explained the purpose of his book, which is to address tough questions that US decision makers should be asking and to understand why the US doesn’t win more wars. He explained that US inability to win wars is not a recent issue; it has been an issue since the end of World War II. Next, Dr. McFate addressed the following question: How is it that the most advanced, technical militaries have and continue to lose to low-level foes? He outlined four traditional explanations as to why the US is struggling to win wars despite having the best troops, training, technology, equipment, and resources, and contrasted these explanations with his own perspective— that the US loses wars because of strategic atrophy. He argued that the US is lagging behind strategically and fails to recognize that conventional war no longer exists. He explained that durable disorder is today’s biggest threat; those who grasp durable disorder can win wars, and those who do not lose. Dr. McFate also questioned why everyone assumes that a war with China or Russia will be conventional. He argued that it will not be since conventional war no longer exists. Yet, this is the sort of war the US is preparing to fight. To conclude, Dr. McFate explained how nations like Russia and China have taken advantage of the US perception that a country is either at war or not at war and stressed that the US must learn how to win in an age of durable disorder.